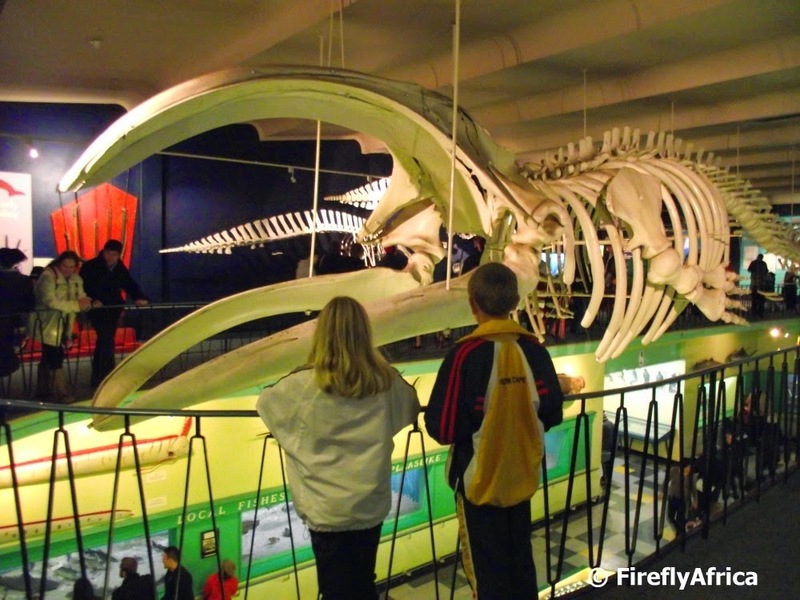 The KidZ admiring the skeleton of the last Southern Right Whale to be harpooned in Algoa Bay hanging in the Port Elizabeth Museum in Bayworld. Here's another picture from A Night at the Museum at Bayworld the other evening. 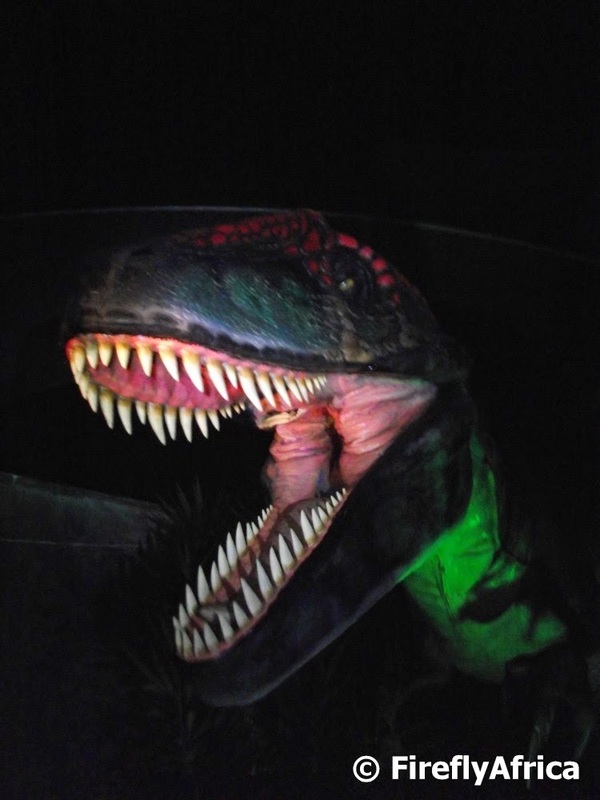 The Dino Park T-Rex seen in the torchlight of the KidZ. A little bit scarier than seeing him during the day. 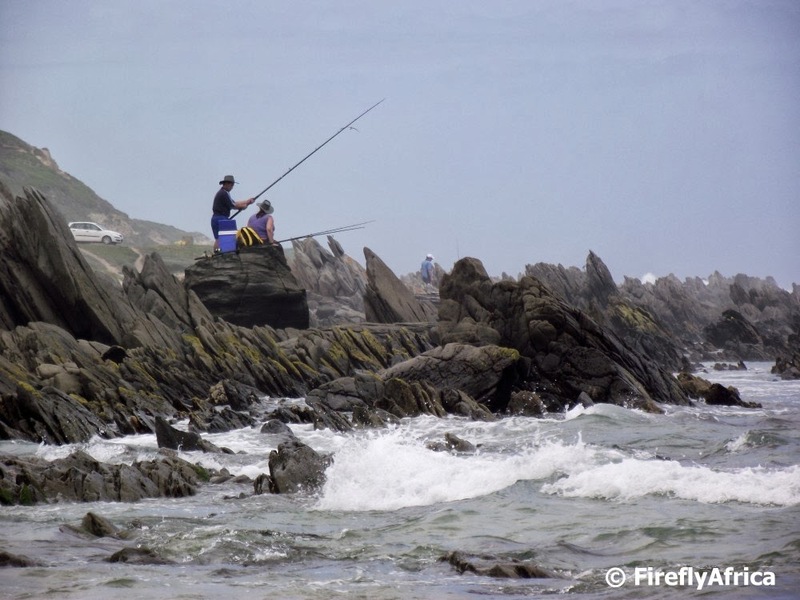 Before the sardines travel up the Eastern Cape and KwaZulu Natal coastline during the annual sardine run they have to gather somewhere in preparation for the migration. That somewhere is off the coast of Port Elizabeth. 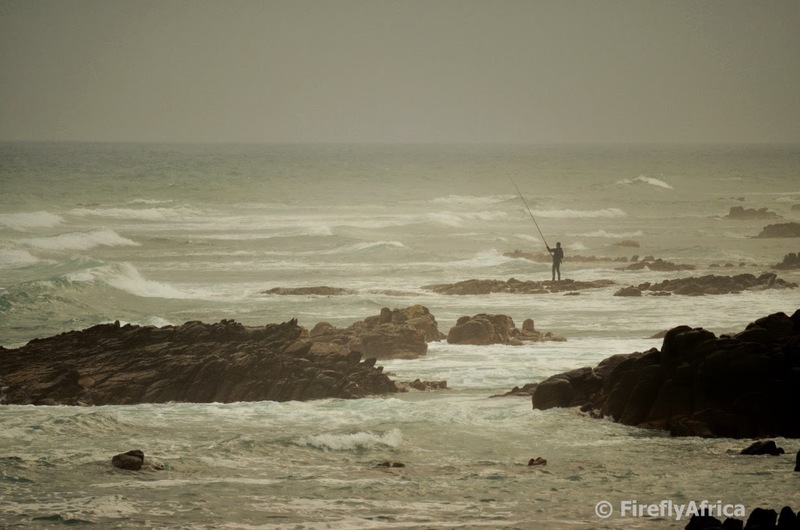 Local marine film maker and dive operator, Rainer Schimpf of Expert Tours is an expert on the sardine run and takes a lot of foreign visitors and film crews out to experience it off the PE coastline. Rainer has taken some extraordinary footage of the sardine bait balls and the sharks, dolphins, whales, penguins and gannets feeding, but few of it gets close to the encounter he had with a Brydes Whale recently. Which keg is the heaviest? 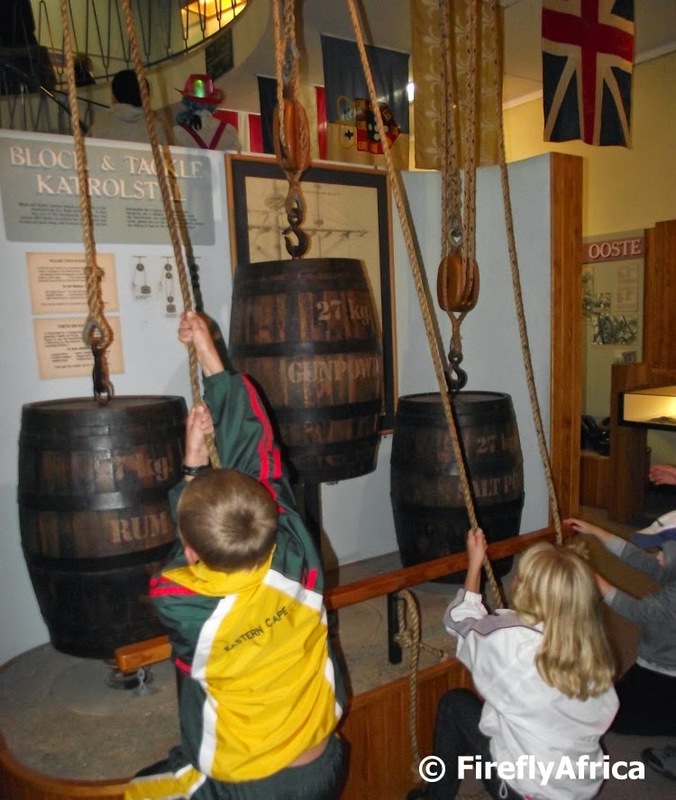 Bayworld is so full of childhood memories, one of them being the kegs in the shipwreck hall. Three kegs each 20kg in weight but with the pulleys being the difference. This means that they feel like they are different weights and the KidZ loved trying them out just like we did when we were kids. A week or so ago the Friends of Bayworld hosted a hugely successful Night at the Museum at the Port Elizabeth Museum at Bayworld. The place was packed to the bleachers and I don't think they ever expected in their wildest dreams that they will have such an overwhelming turnout. I get to visit Bayworld fairly often for tourism purposes and it was great to take a walk around with the family for a change and share with them all the exhibits, some that has been there since my childhood days and bring back lots of memories. 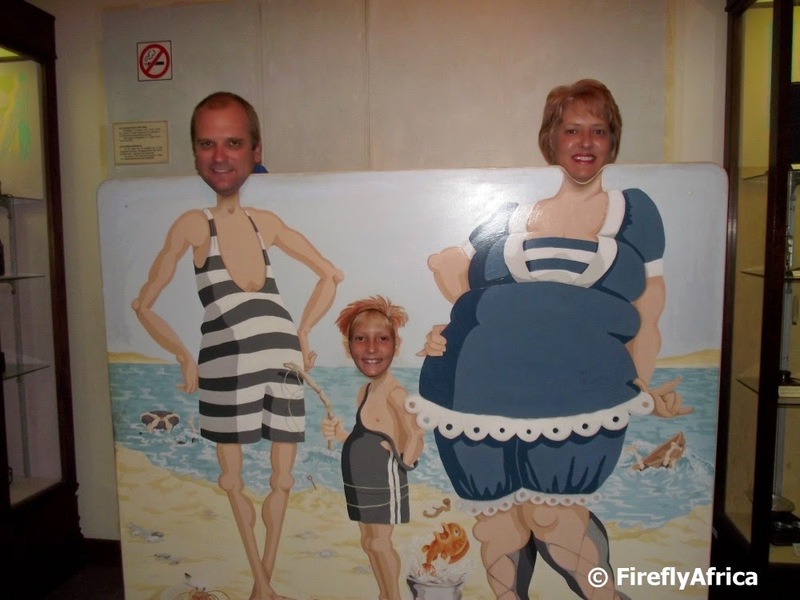 One of these was the cut-out in the fashion hall with Chaos Boy snapping this picture of the rest of the family. It didn't take long for Route 67 to become a true Port Elizabeth icon and being situated on the equally iconic Donkin Reserve has become a must see to tourists visiting the city. Even though the Voting Line and the Great Flag has become two of the most identifiable art pieces forming part of the route, the one that is photographed just as much is the Piazza Mosaic. 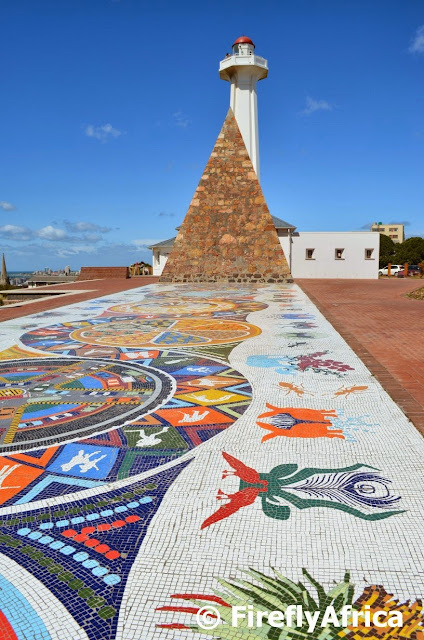 Covering 470 square meters the mosaic celebrates Port Elizabeth and the Eastern Cape's multi-culture, heritages, diverse histories and abundant fauna and flora. 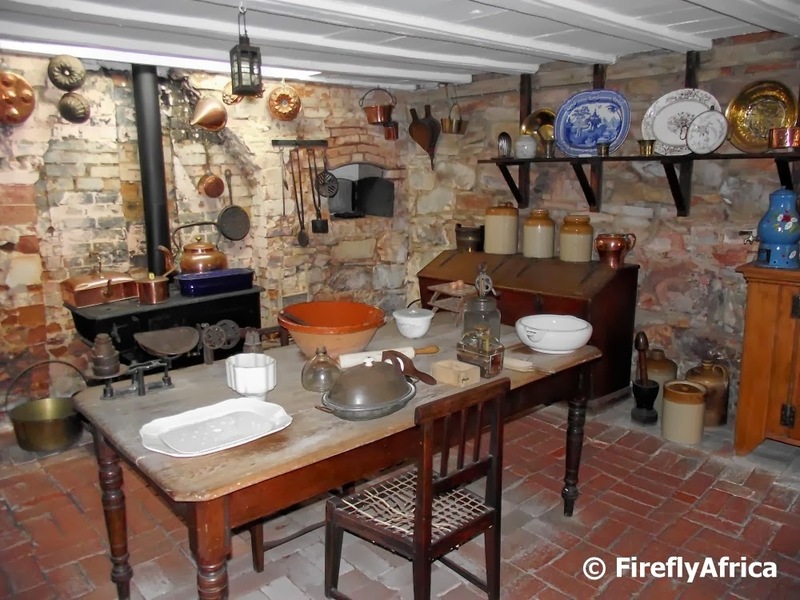 My favorite part of the No 7 Castle Hill historical museum is the old kitchen. It always reminds me of my grandmother who had a number of the implements in her kitchen. It doesn't matter how many times I go there there is always something new to discover and showing kids around there is a wonderful experience as they just can't believe what some of the things got used for. It's always nice to see Port Elizabeth and it's surrounds feature on television and amongst these programs is Pasella on SABC 2. 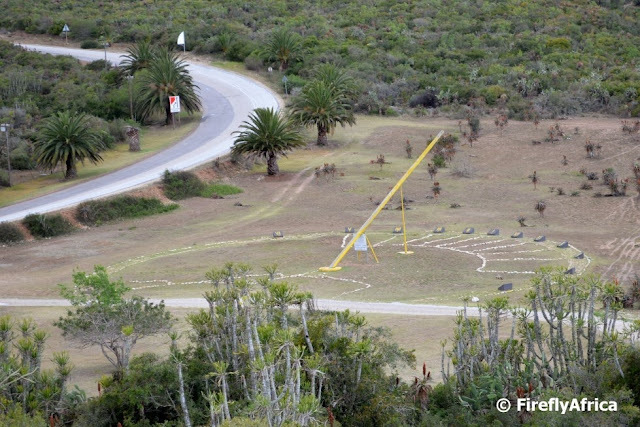 A week or so ago I posted the Geocaching in Port Elizabeth insert that I "starred" in and I decided to go and see which of the other PE related inserts I could find. There are about 3 or 4 which I will post in the next few weeks and I think from there on I will find a PE related video once a week to show you. These will range from other television inserts to promotional videos and more. The insert I'm posting today is one that was done about the Colchester area and includes things like the Sundays Rover Ferry, dune boarding and the Nanaga Farm Stall. Enjoy! 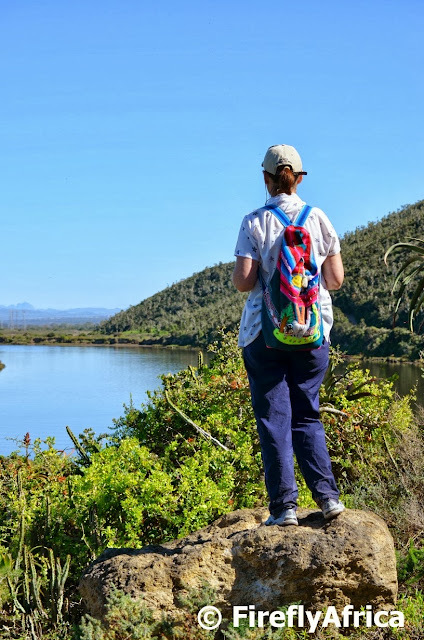 The best part of any walk or hike is enjoying the scenic views, like Cathy was doing here on the Flamingo Trail at Swartkops a little while ago. 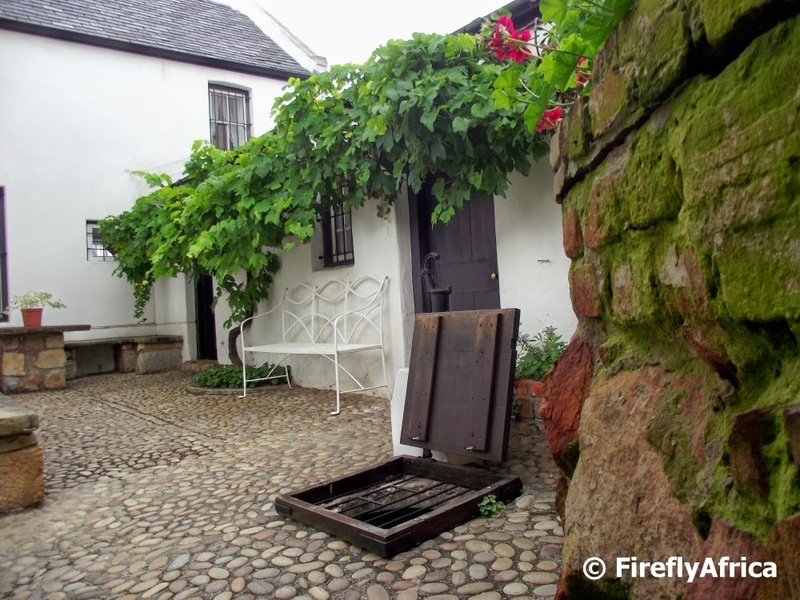 One of the highlights of visits to No7 Castle Hill is the working well in the courtyard. As there is no fountain, water collects in the well from the roof and was used for normal household usage back in the days. I chose to post a picture without anybody in just to show what the whole courtyard looks like. I love to photograph sunrises and sunsets. Unfortunately I don't get myself up early enough in summer for a sunrise (although the chances are better to snap one in winter) I get sunset pics a bit more often (although not nearly as much as I would like to). 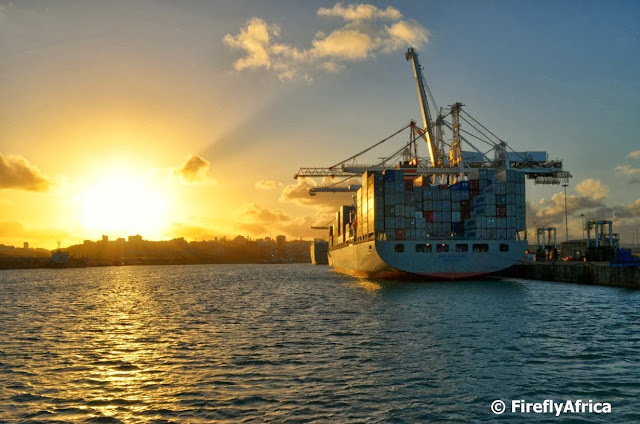 This sunset I snapped after cruising on Algoa Bay on the Jester as we returned to the Port Elizabeth harbor. Its about aloe time and I can't wait to see all the aloes in flower around Port Elizabeth again. 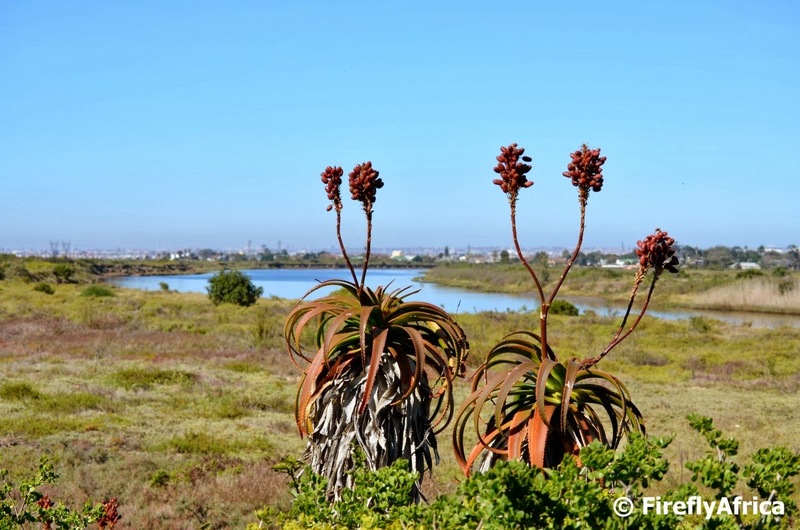 In anticipation I'm posting this picture of two aloes with dry flowers next to the Swartkops River on the Flamingo Trail I took a little while ago. You've all seen me refer to my Geocaching adventures which take me to places I know well but also often brings me to interesting spots I've never been to before. Late last year the SABC 2 Afrikaans magazine show Pasella shot a insert in Port Elizabeth about Geocaching featuring yours truly. *big smile* It was broadcasted in February and uploaded onto YouTube a week or so ago. The 6 minute long insert is in Afrikaans but it does have English subtitles so everybody would understand. It covers what Geocaching is, how to participate and what to do. During the insert we went to look for Geocaches in St Georges Park, at the East Cape Horse Care Unit and the Wellington Park section of Settlers Park. The insert also features Chaos Boy and Drama Princess as well as Wicus and Ansie Benade of Team Wikkelgat. where his crew celebrated Mass and planted a padrão or stone cross. 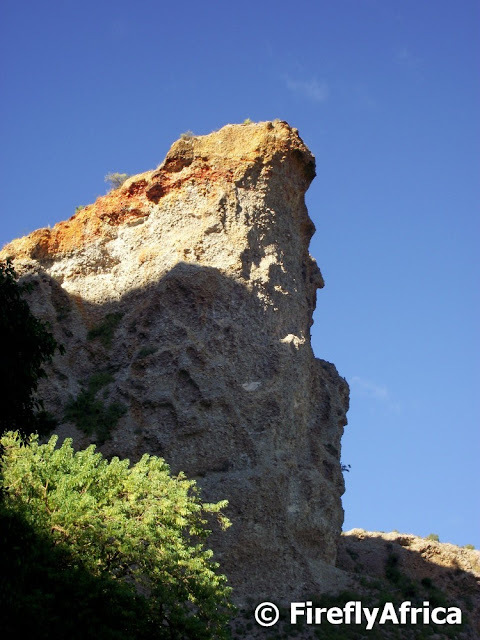 The island, which is visible from the Port Elizabeth beachfront, is 3.9 km from the nearest land at Hougham Park and rises up to 59m at it's highest point. It is 12 ha in size and is 700 meters long at its longest point and 360m wide at its broadest. 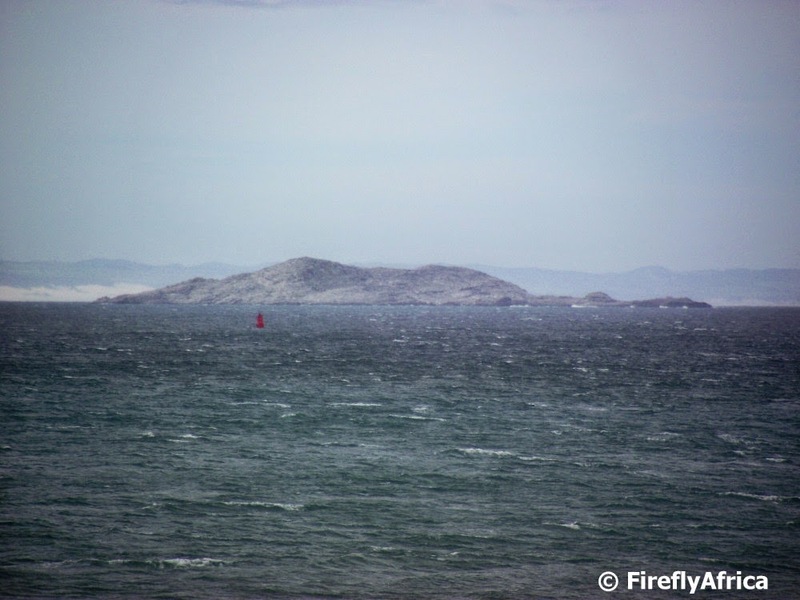 There is very little vegetation on this rocky island which is also home to the biggest breeding colony of African Penguins in the world. Race day at Aldo Scribante Race Circuit near Motherwell is always an exciting prospect. For some reason I just never had the opportunity to go and see racing there but I did pop in the other day to have a look for a Geocache hidden close by. 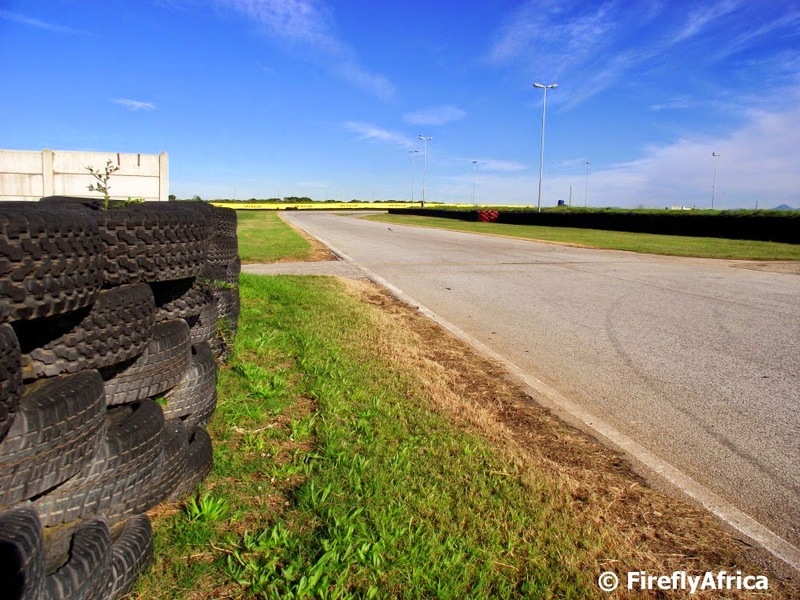 The track is home to the Algoa Motor Sport Club and hosted it's first event on 30 November 1975. The track is 2.48 kilometers long with a clockwise racing direction. Over the years the circuit has developed many National Champions with recent ones being drivers like Michael Stephen, Tschops Sipuka, Simon Moss, Terry Moss and Michael Briggs. This is the last post in the Gamtoos Valley series before returning to PE pics again. 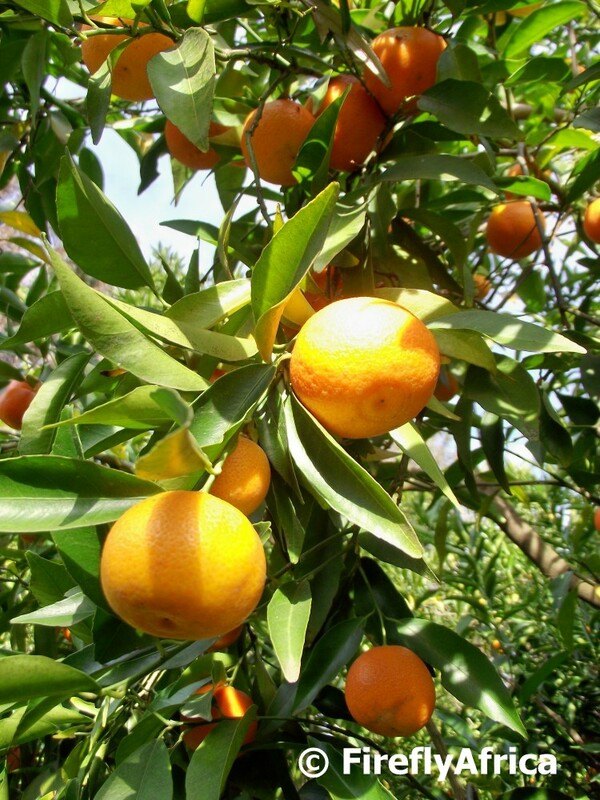 The Gamtoos Valley is famous for the citrus produced there, amongst it various varieties of oranges, naartjies and lemons. Kids love naartjies because they are sweet and easy to peel and during the Gamtoos Citrus Festival visitors get to go on a tractor tour into the orchards and pick your own. 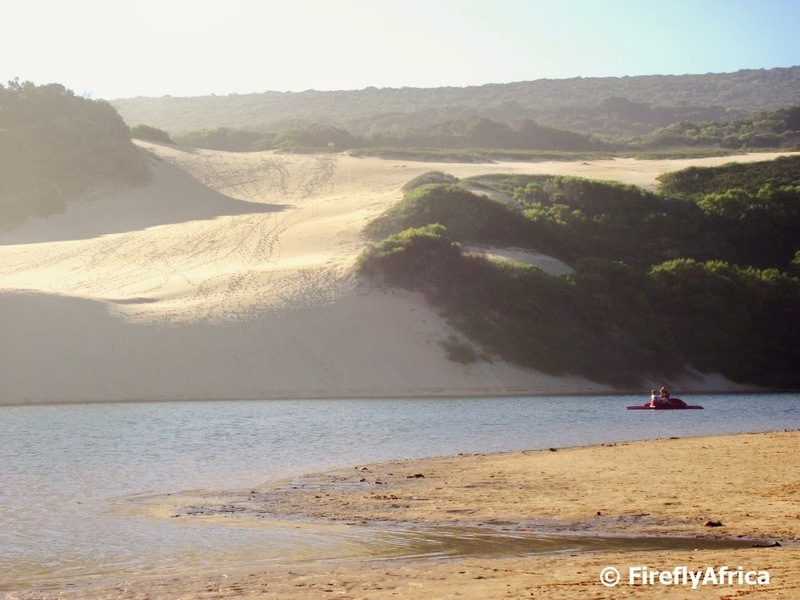 This is post #5 in a series of 7 posts featuring the Gamtoos Valley west of Port Elizabeth. This is post #4 in the Gamtoos Valley series. 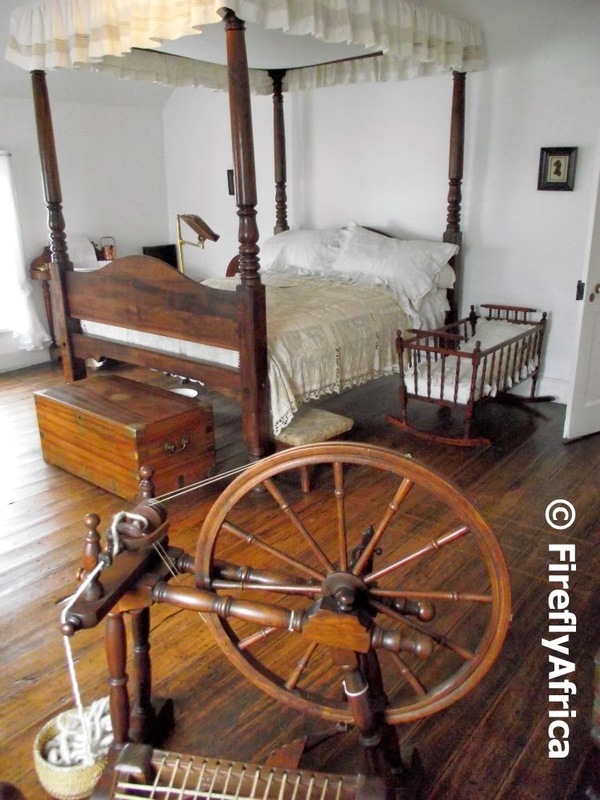 The town of Hankey was started as a mission station on behalf of the London Missionary Society by Dr John Phillip. The main purpose was to grow corn and mielies for the mission station at Bethelsdorp as well as to carry out evangelistic work in the valley. Dr Philip's son, William Philip, came to the mission station in 1841 and during his time there the area experienced a serious water shortage. 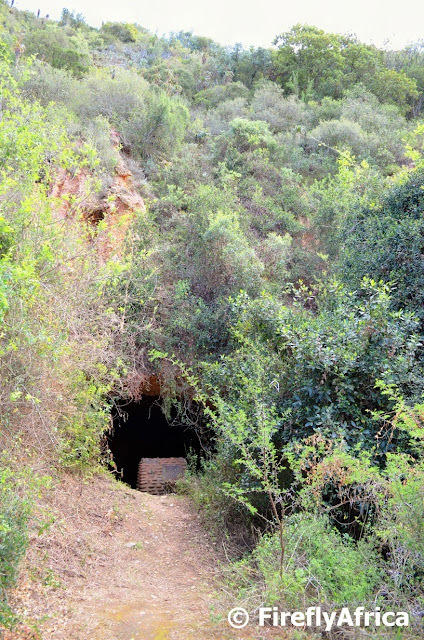 The best way to get water from the Gamtoos River to the settlement's farmland was to dig a tunnel through the cliff that stood in-between the two. A formidable task indeed but not one that put William off in any way. In 1843 he started the project with the help of Khoi labourers and in just more than a year they completed the 228 meter tunnel. William drowned in the river not long after the official opening of the tunnel which was used for over a century. These days the tunnel is no longer in use because of irrigation canals criss crossing the valley and but has been declared a national monument. 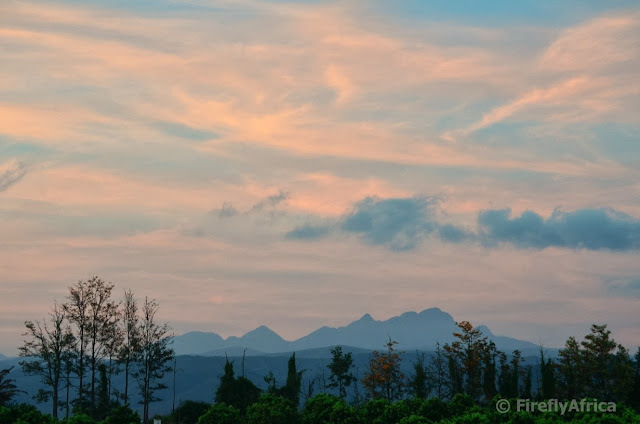 Dusk in the Gamtoos Valley with the Cockscomb Mountains in the background photographed from the stoep at Nikalandershoek Guest Cottage just outside Patensie. 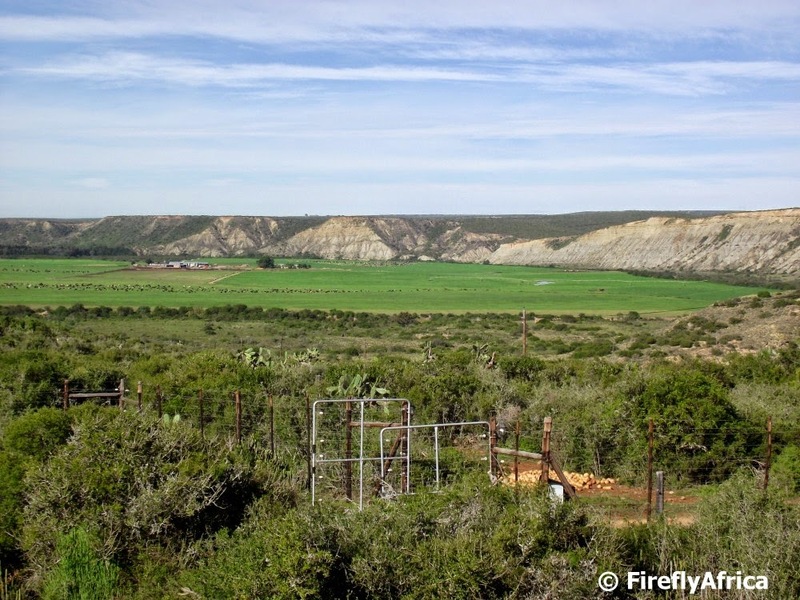 This is post #2 in the Gamtoos series featuring the Gamtoos River Valley west of Port Elizabeth. The valley is referred to as the food basket of the Eastern Cape due to the amount of fruit and vegetables being grown here. These farms all get their water from the Kouga Dam. Water is taken from the Kouga Dam to the Loerie Dam (on its way to consumers in Port Elizabeth) via a main canal while irrigation water for the farms in the valley is distributed by means of a series of canals and pipelines. 7400 ha of scheduled ground are irrigated with every irrigator being supplied with at least one draw-off with a self registering meter. These are then operated by the farmers themselves according to their needs and with a maximum limit of 8000 m3 per ha per year being allowed. I'm going through a very busy period at work having just come back from World Travel Market Africa in Cape Town and off to Durban for Indaba in a couple of days. 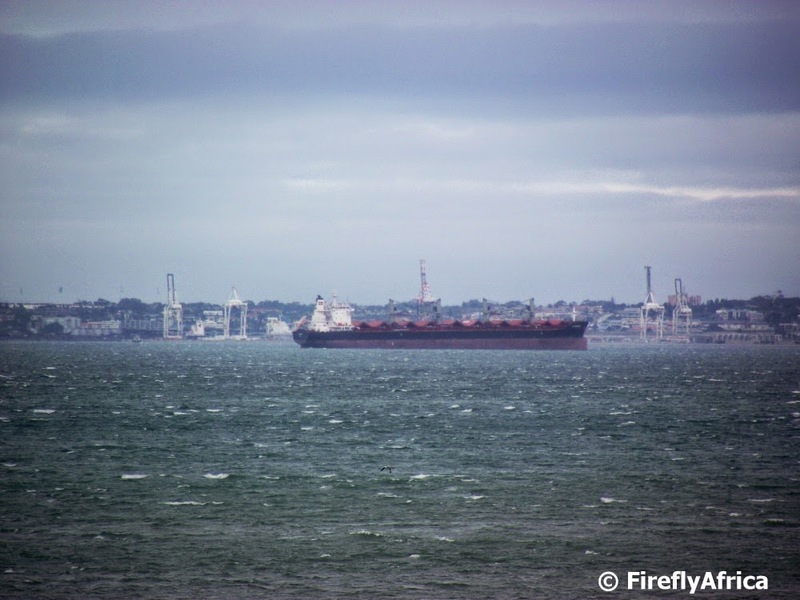 Because of it I'm running low on photos and rather than skipping days I decided to keep the daily photo concept going and recycle some pictures from The Firefly Photo Files over to PE Daily Photo. 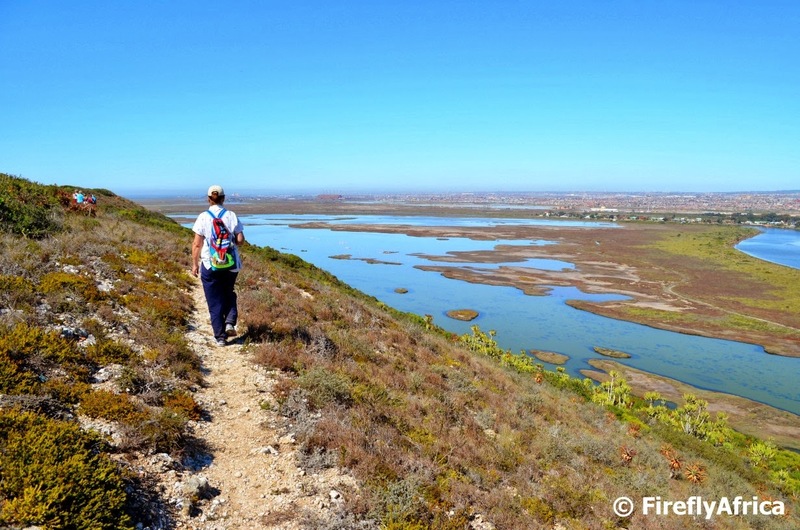 So lets go on a little PE Daily Photo holiday and discover the nearby Gamtoos River Valley, an area ideal for a weekend Sho't Left out of the city. The "holiday" will be made up of a series of seven posts showing off some of the sights and attractions in the valley. The Kouga Dam is one of the most important features in the Gamtoos Valley. 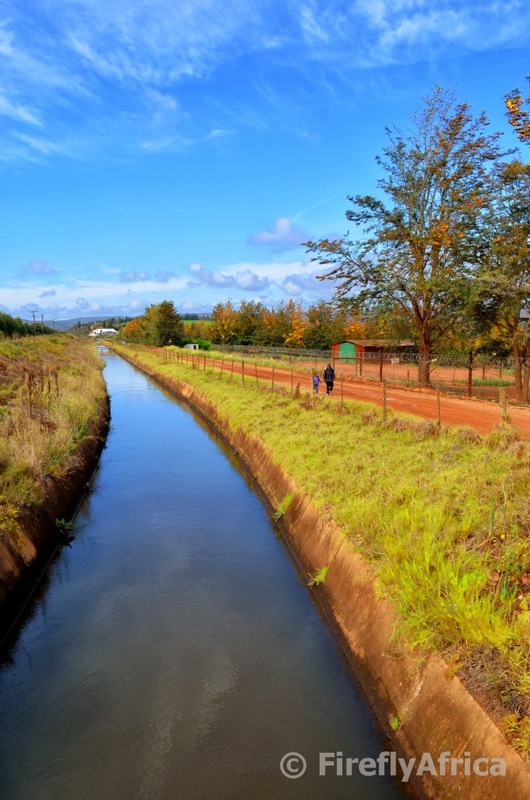 It not just supplies water to irrigate the farms in the valley, it's also one of Port Elizabeth's main water supply dams. 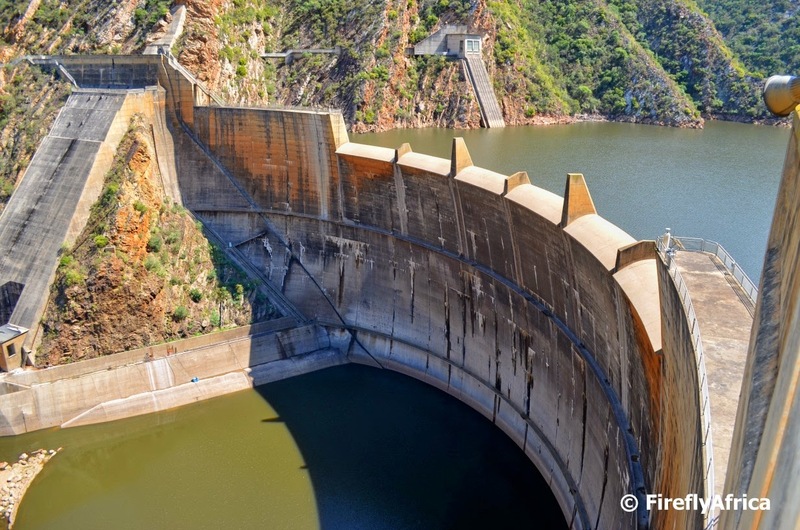 The dam is a double curve arch dam with an 82 m high wall and storage capacity of 128,7 million m3. The catchment area is inside the Baviaanskloof Wilderness Area from where the Kouga River carries the water into the 34 km long dam basin. Other than for water supply the dam was also built as a flood control mechanism to lessen the impact of a flood on the lower Gamtoos River. Visitors can get right up to the point where I took the photo from for a view of the dam. 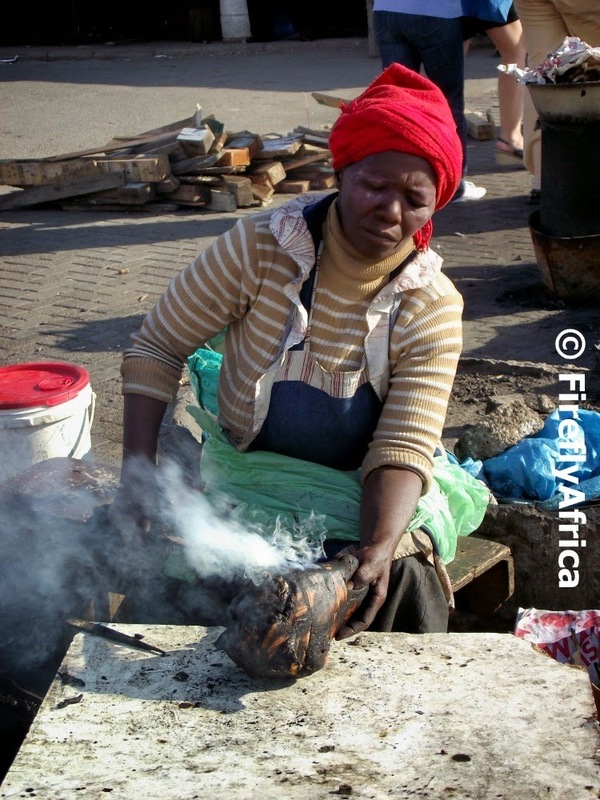 Smileys is a delicacy in the townships and visiting Njoli Square in Zwide you get to see vendors prepare this sheep head meal for the lunch time and after work rush coming past. Very few people know that the South Campus of the Nelson Mandela Metropolitan University is situated on a nature reserve. 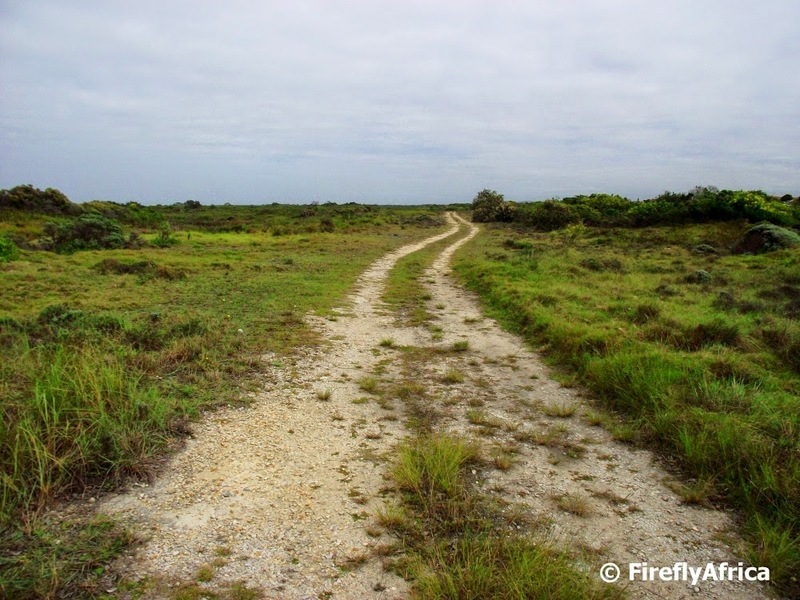 The Grysbos Nature Reserve can be accessed (with permission) from the campus along this road. I went to a meeting at the campus and snapped the pic over the gate on my way past. We spent a day at Van Stadens Mouth Resort for the first time in many years and the KidZ absolutely loved the lagoon next to the resort. 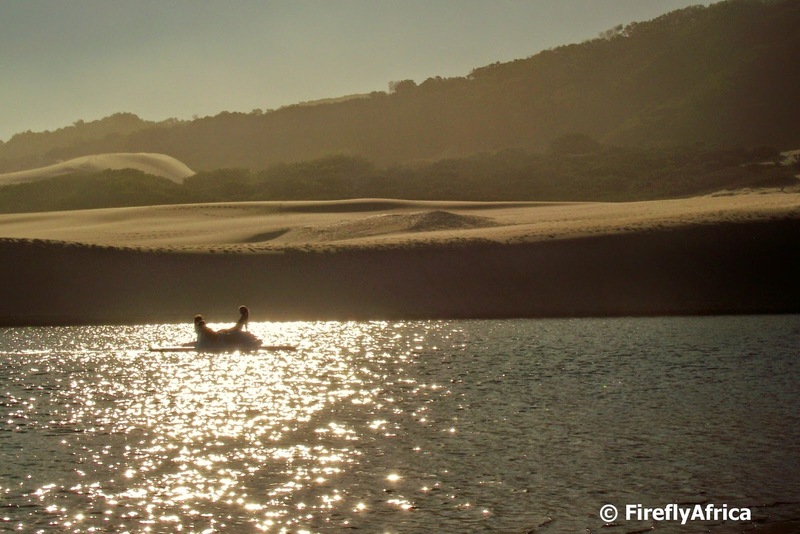 There are paddle boats for hire but we took along our own little blowup boat along and it was a huge struggle to get the KidZ out of the water for the braai later on.